2016-03-03 11:03:34 - Trying to remove the startup task if there is any. 2016-03-03 11:03:34 - Error: Startup task doesn't exist. This is not a continuation after a restart. 2016-03-03 11:03:42 - "C:\Windows\system32\ServerManagerCmd.exe" -inputpath "C:\Users\ADMINI~1\AppData\Local\Temp\2\Pre8992.tmp.XML"
2016-03-03 11:03:42 - Error: The tool was unable to install Application Server Role, Web Server (IIS) Role. 2016-03-03 11:03:42 - Options for further diagnostics: 1. Look up the return code value 2. Download the prerequisite manually and verify size downloaded by the prerequisite installer. 3. Install the prerequisite manually from the given location without any command line options. Install this hotfix and restart & retry. 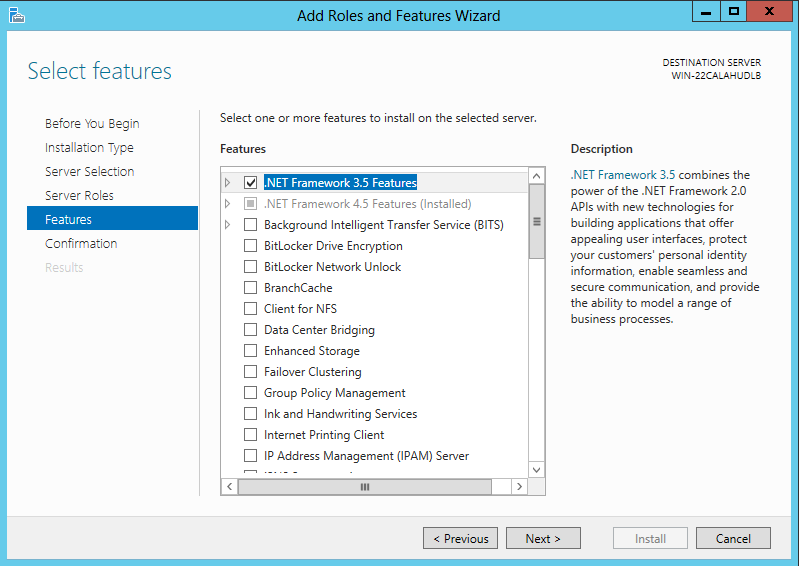 Add .NET Framework 3.5 Features and try again. 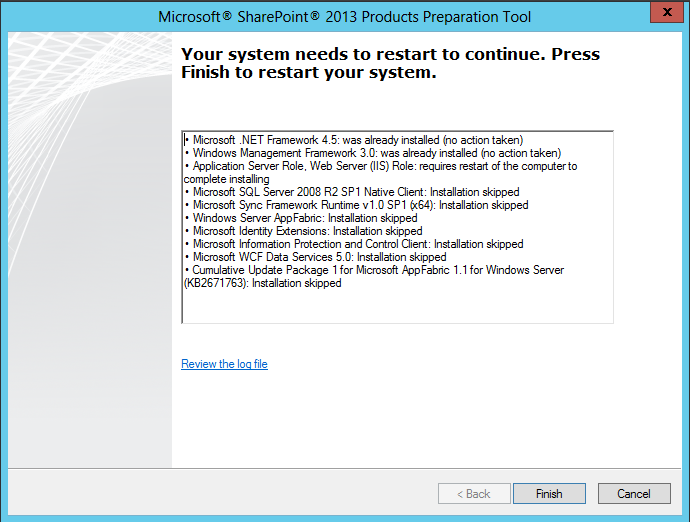 During the installation of the SharePoint 2013 pre-requisites, if the .Net 3.5 features are not installed on the server, the pre-requisite installer will attempt to go to the configured source for updates for the server to retrieve .Net 3.5 and install it. If the server is configured to go to Windows Update, this usually succeeds, however if the server is configured to use WSUS and .Net 3.5 has not been integrated into the WSUS catalog, or the server doesn't have access to the internet, this usually fails. 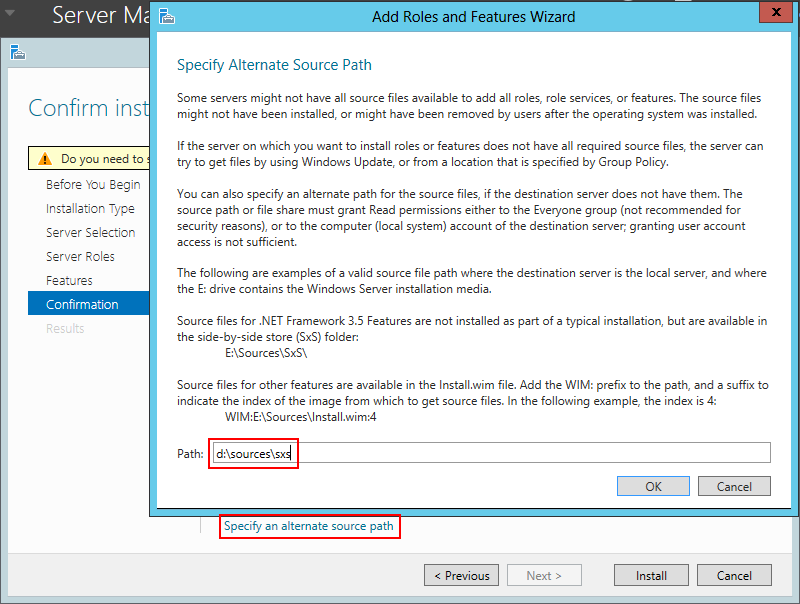 As an alternative, the policy for 'specify settings for optional component installation and component repair' can be set to allow the server to contact Windows Update directly if the server is configured to use WSUS as its update source and .Net 3.5 has not been integrated into the WSUS catalog. Again this (obviously) requires internet access from the server to succeed. 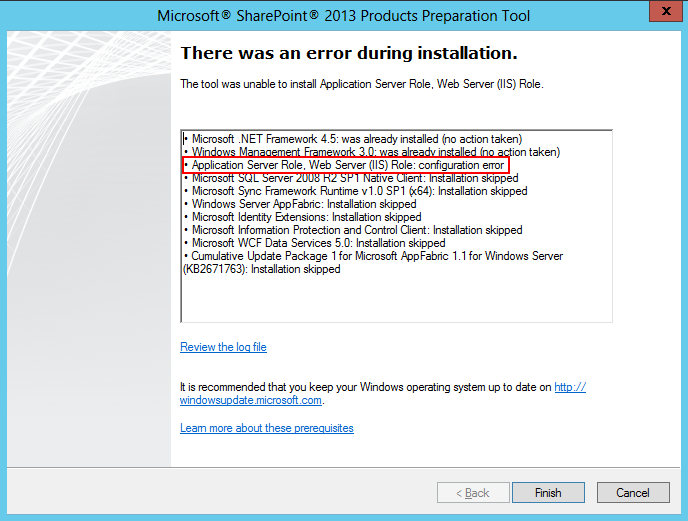 As can be seen, the configuration of the Application Server role fails. Click OK, then click 'install'. 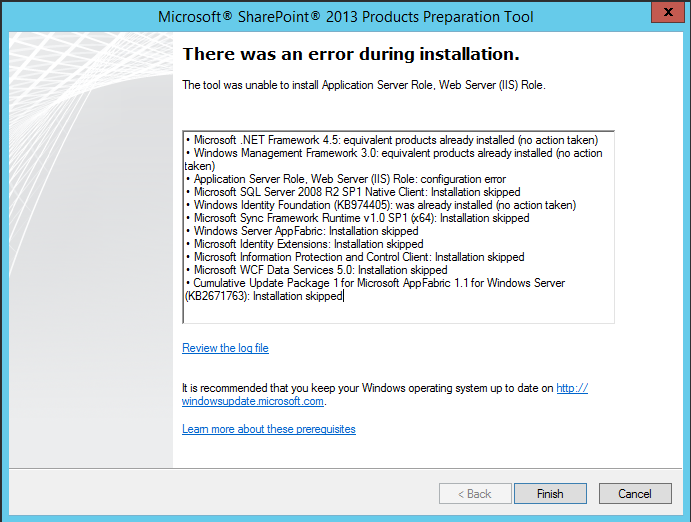 Once installation has completed, retry the installation of the SharePoint 2013 pre-requisites. As can be seen, this time, the configuration of the Application Server role is succeeding. Not the answer you're looking for? 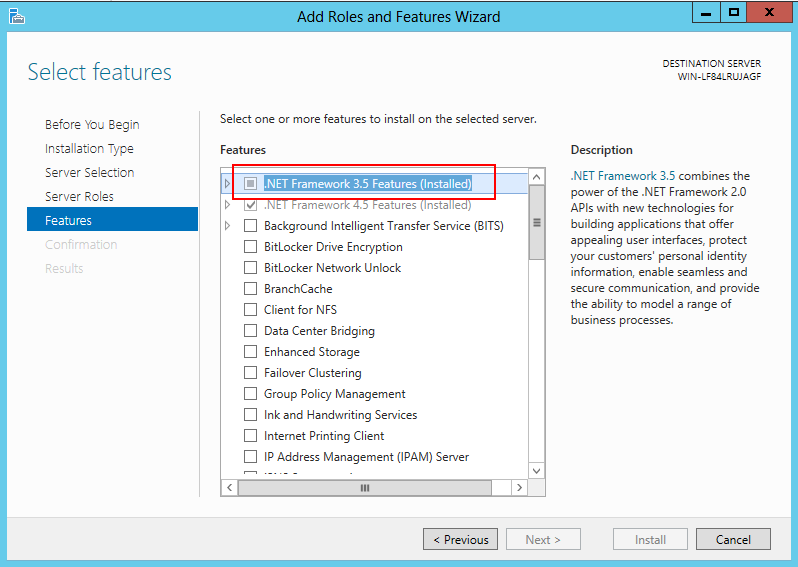 Browse other questions tagged sharepoint-server installation or ask your own question.